Like most tough jobs, parenting can be broken down into smaller, doable jobs to help us successfully accomplish our goals. This is as good a book on proactive parenting as I have seen. It is a cold splash in the face against passive parenting. [P]owerful, practical, and hopeful parenting suggestions for the next several generations. This timely book combines Scripture, current research, and clinical insight to restore the family to its happy and productive purpose… [He] creates a rich tapestry of worthwhile reading for any parent. I recommend it highly. Dale’s book gives encouragement to parents through this journey by outlining their roles of modeling, mentoring, and guiding. These principles, if utilized, will benefit any family that reads this book. 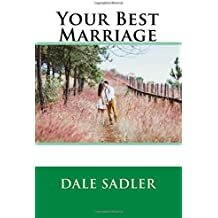 [Dale Sadler] provides practical wisdom to overcome the decline in parent-child relationships. This is the book that will give you the strength, skills, insights to make a difference to those who you dearly love.